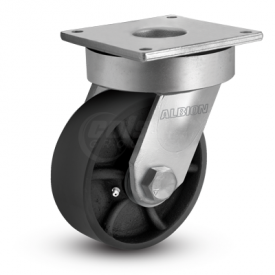 Highly recommended for automotive and aerospace applications, Albion 610 Series casters are built to take the punishment of constant swiveling, or for service where shock or impact loads might damage less rugged casters. 3/4″ ball bearings mounted in a 4-3/8″ precision machined raceway. Zerk included in swivel section. Individual product pages for this series will be available soon. In the meantime, please utilize our catalog page(s) linked above for detailed specifications and part numbers. 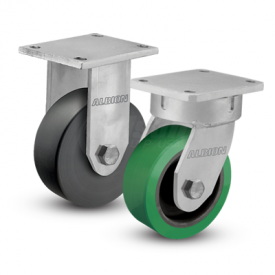 You can explore this series below for CAD models and datasheets. If you have found parts you are interested, Request a Quote and specify those part numbers.